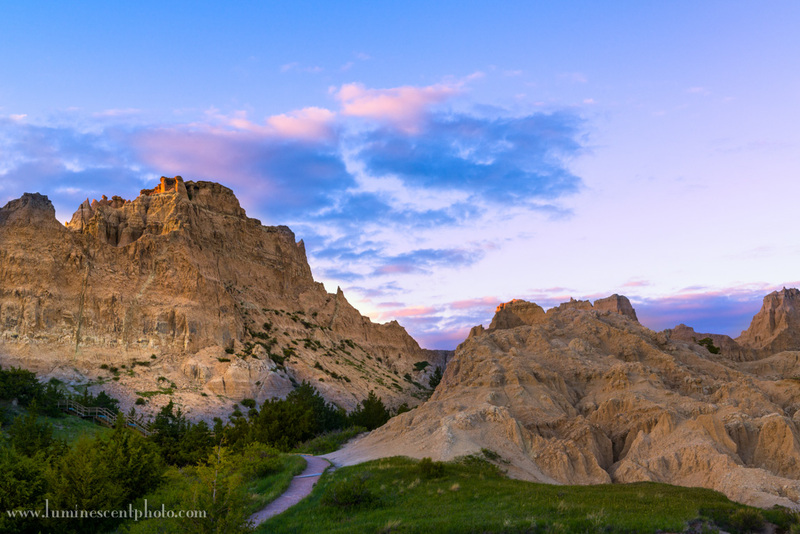 Sunset in the Badlands; as-shot image before processing. What I liked about the shot, though, was the light hitting the peaks and the clouds. This image represents a typical set of challenges in outdoor photography. Wide dynamic range between the sky and the foreground, mixed lighting between the sky (daylight) and the hills (shade), and low contrast overall. We used the full set of tools in Adobe Photoshop Lightroom 5 to adjust the RAW image, and then we applied Skylight Filter and Pro Contrast in Color Efex Pro 4 to make the final image pop. 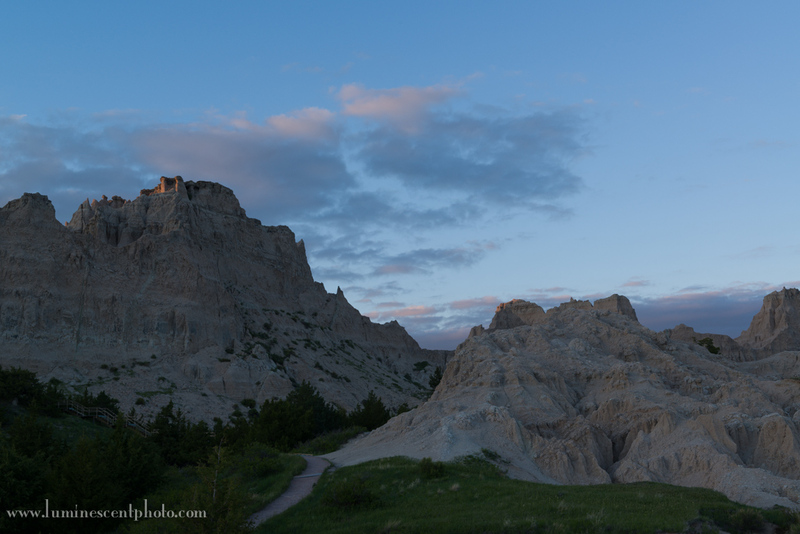 The end result is far more spectacular, and captures the feeling we had when we were actually there shooting this on the Badlands Photo Safari. Sunset in the Badlands, South Dakota. Final image after processing in Lightroom 5 and Color Efex Pro 4.